UK distributor Anime Limited have formed a contract with the Velvet Room as they announce the home video rights for PERSONA5 the Animation, as part of their Spring 2018 anime season haul. 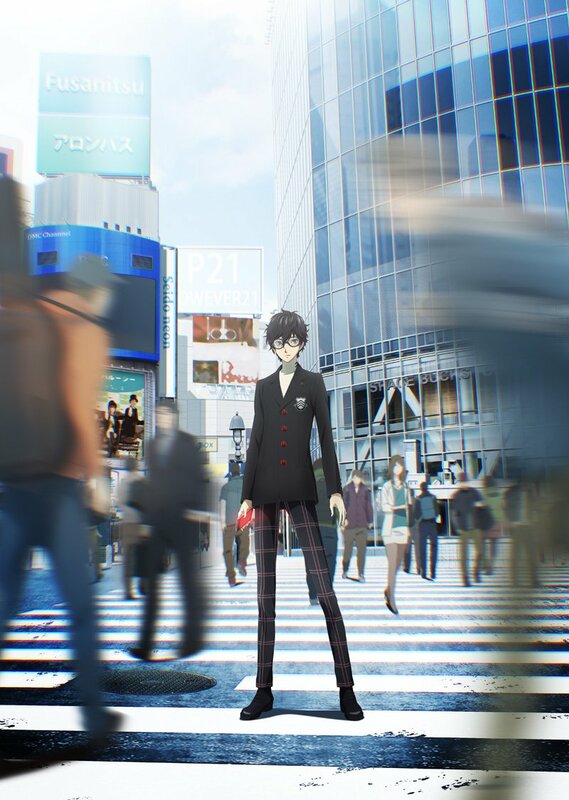 Set in modern Tokyo, PERSONA5 the Animation chronicles the adventures of an eclectic group of teenagers who call themselves the “Phantom Thieves of Hearts.” Together with their metaphysical manifestations known as their Personas, the group seeks to solve crimes by reforming the source of corruption within people’s hearts. Persona 5 is the fifth main title in the Revelations: Persona video game series by Atlus and a spin-off of the Shin Megami Tensei franchise. The original video game source material is available to play on PlayStation 3 and PlayStation 4 by publishers Deep Silver and Atlus, plus there’s the upcoming music/rhythm spin-off game Persona 5: Dancing Star Night heading to PlayStation 4 and PlayStation Vita this May in Japan. Aniplex also made a short OVA during the promotion for the video game called PERSONA5 The Animation: The Day Breakers which is also available to stream on Crunchyroll and for Blu-ray with English subtitles in Japan. This OVA is set sometime after the beginning part of the story so it’s recommended that you watch the first couple of episodes of the anime or the first 10 hours of the game beforehand. Bare in mind that currently Anime Limited have not specified whether the OVA will be part of their license. Anime Limited also have the rights to the Persona 3 movie series which are available to own on Blu-ray & DVD. Anime Limited to License King’s Game for the UK with Simulcast Details! Anime Limited have acquired a new title from the Autumn 2017 season! Anime Limited announces their first Spring 2018 license with more Lupin! While Funimation won’t be streaming the series for the UK, Anime Limited steps in with the license! The brand new fourth series of Full Metal Panic! is coming to the UK by Anime Limited alongside a Crunchyroll simulcast.